Our friends over at Car Throttle have analysed every F1 champion's season and scored them on a level playing field, to come up with a definitive top ten F1 drivers of all time. Take a look. If you think that Sebastian Vettel's dominance has catapulted him to the top of the charts then prepare to be surprised. What I really enjoy about the list is that the man who is at the top of the all time F1 driver's chart was quite portly, and 40 when he scored his first world championship - Juan Manuel Fangio. Huzza for us older guys. "It was almost inevitable Vettel would become the youngest man to win four F1 titles in India and in the days leading up to the race, commentators everywhere have been comparing him to the greatest in F1′s history. However directly comparing F1 drivers is difficult when they raced in different eras – F1′s hadsix different points systems over the 63 seasons and many championships were decided on a certain number of race results being dropped. So we’ve done something never done before. 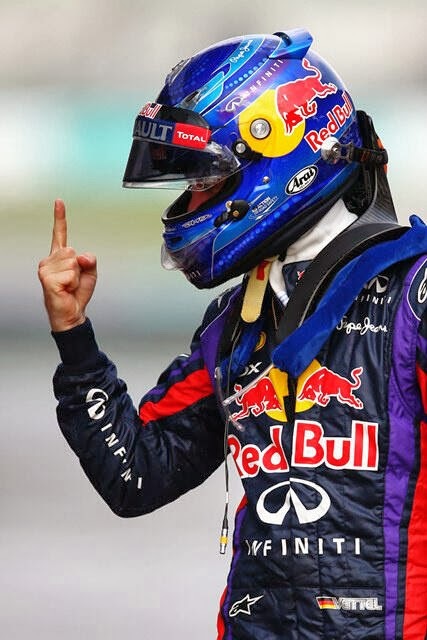 We’ve rewritten history and scored every finish according to every points system ever used and ranked the drivers on a level playing field according to the number of points they scored per race start – so we can bring you a definitive list of the top 10 drivers ever and answer the question… is Vettel really the best?"